Some Tips To Get The Best Deal On A Car Title Loan! Have you ever tried to get a loan to start a business, to plan a family vacation or to settle some other minor or major personal issues? If you have done you find it difficult? Did you come across some challenges? Car title loans are designed to help solve your financial problems. Today, these services exist both as physical offices and some as online lenders. 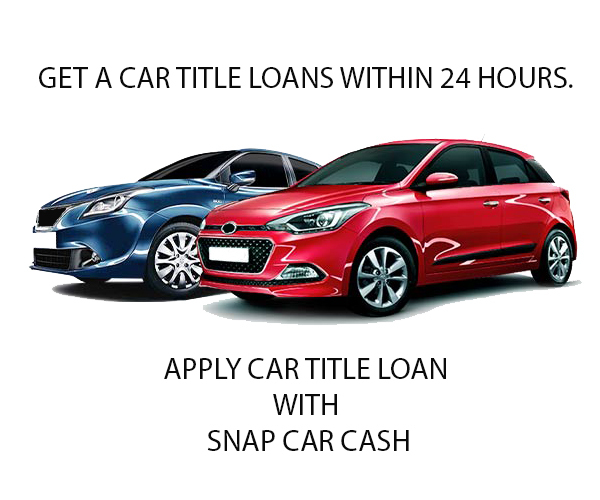 Car title loan requires a less demanding process to get a loan which makes many borrowers opt for them instead. So what is a car title loan? It is a type of secured loan where one can use his/her car title as collateral. Basically, as a borrower, you have to hand over the ownership of your car temporarily to the lender until the loan is paid back. So before you go apply for a car title loans, here are a few tips to guide you. 1. Know the payment options available to you. Before you apply for a car title loan make sure you’re aware of the repayment options provided by the lender. Also, verify exactly how long your title loan will last. 2. Confirm if there are any Re-payment penalties. When you are applying for a car title loan be familiar with their loan and early repayment terms. With some companies, if you pay earlier than scheduled, you are charged an early payment penalty or fee. Always confirm if there are any early repayment penalties before proceeding with a loan. Some of the online title loan lenders will have a streamlined application process that takes place completely online. Generally, this process is much quicker than applying at a local office. Time is valuable, so an online application will definitely save you time. 4. Be sure that you get to keep driving your car. Some lending companies actually keep your car for the duration of your loan. Most others will allow you to keep your car but may need to meet up with you on a regular basis or put a tracking device in your car to detect your every move in the event of a default. 5. Make sure the lender has the license to operate in your province. There are some regulations that determine the requirements for an online car title lender to be registered and these regulations can vary from province to province. A lender will not be able to offer you an online car title loan if he is not registered in your province. 6. Find out what kind of cars the lender accepts. Basically, the amount of money you get from a Car Title Loan is dependent on your vehicle’s market value. Lenders will have a certain vehicle guideline they follow in order to provide you with a loan such as a year, make model, mileage and overall condition of your vehicle.